CET technology, experts in the design and manufacture of standard and custom transformers and Inductors was recently contracted to design a common mode choke in toroidal inductor form. 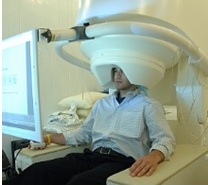 The purpose of the toroidal inductor is for use in a new high frequency brain scanning system, a type of Magnetoencephalography (MEG) brain scanning system. Most common mode chokes on need to operate at frequencies below 250 kHz. The clients requirement was highly unusual in that the component is required to operate at frequencies approaching 500 MHz. CET Technology achieved the required high frequency performance through the selection of a unique core construction with a novel winding method to meet customer's specifications. The CET components reduced unwanted electrical noise within the system by greater than 20dB. The results of all this, it is expected, are enhanced brain scan images that are detailed enough to find even minor injuries such as concussions due to sports injuries. Firstly, the term toroidal: a toroidal shape is a shape that is very much like a doughnut type of shape. A circular shape with a hole in the middle. There are many types of toroidal shapes but they all follow the basic doughnut idea. With this it is easy now, to see, that a toroidal inductor is a coil of wire wrapped around a core to create an inductor, but in this case the ferrite core itself is of this toroidal shape. But what advantage does having a toroidal core bring to the inductor as opposed to a straight core, such as with a solenoid? Simply put, because the core is closed loop, ie the doughnut shape, it can have a higher magnetic field than a straight core with similar properties. CET Technology specializes in the design and manufacture of standard and custom magnetics. CET manufactures a full line of ROHS compliant components including transformers, power supplies, inductors, coils, chokes and DC/DC converters. They use the latest manufacturing techniques to guarantee lower production costs with excellent repeatability and performance.